The very two things that will take aback a visitor to Ethiopia is khat and injera. 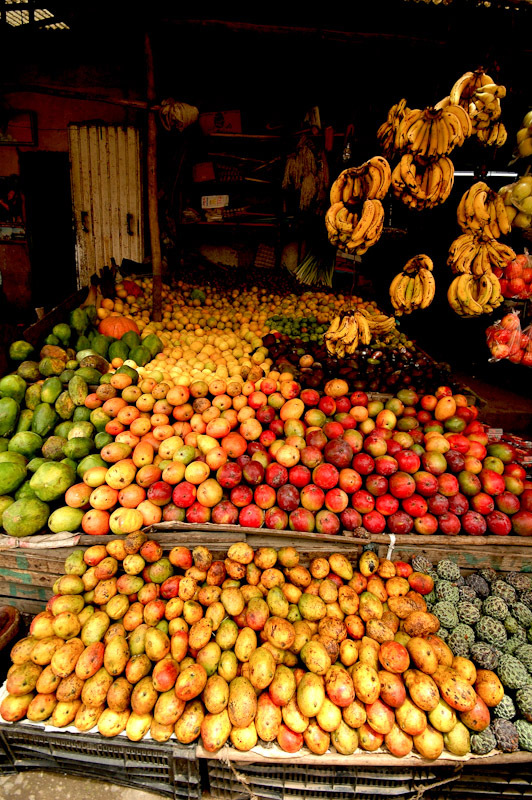 Moving around the country, it is the stimulant herb khat, chewed over and over again by the inhabitants of Abyssinia and a firfir, a resembling sour bubble-pancake dish, which would become a constant image throughout this incredibly diverse part of Africa, regardless of location, time and circumstances. While khat may be a strictly prohibited plant in many other countries, in Ethiopia it is in a common use. Chewing khat is a way to both start up a conversation and simply kill time, just out of boredom. It also plays an important role in social gatherings and can even serve as a precaution measure. Chewing it you are less likely to fall asleep while driving. 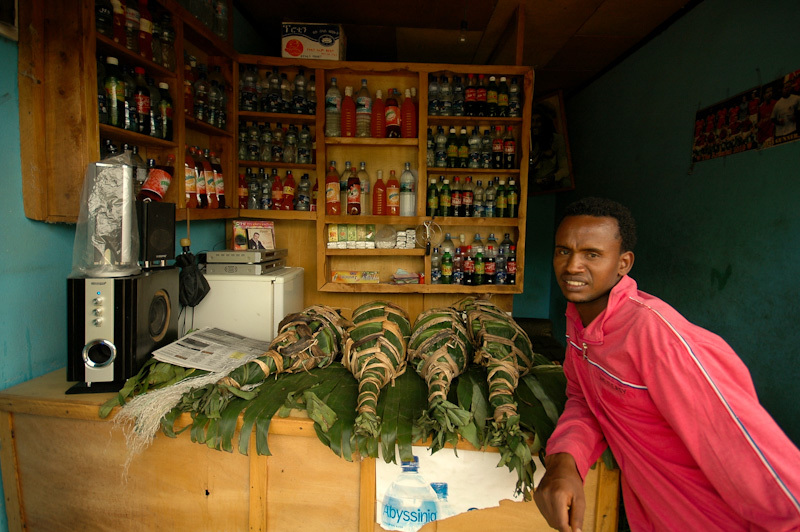 This is an open dispute issue, as it is said that people of Ethiopia spend too much of their income on khat. On the other hand, I you look closely, the money they spend have to end up somewhere, most likely in someone else’s hands. In fact, khat cultivation and trade has long ago became a primary source of income for most families living in Ethiopia, Somalia and Eritrea. It is also an element of culture and tradition, which both out of curiosity and journalist’s obligation a visitor may consider experiencing. Teff is a primary nutrient for vast majority of Ethiopians. The grain, also known as “Abyssinian grass” is endemically found only in Ethiopia and neighboring Horn of Africa countries. A widespread throughout the country injera is made of teff flour. These unusual pancakes are baked in simple home conditions in the oven or on a furnace in a special clay vessel. A typical injera resembles a thick pancake and the slightly fermented dough gives it its aquired sour taste. 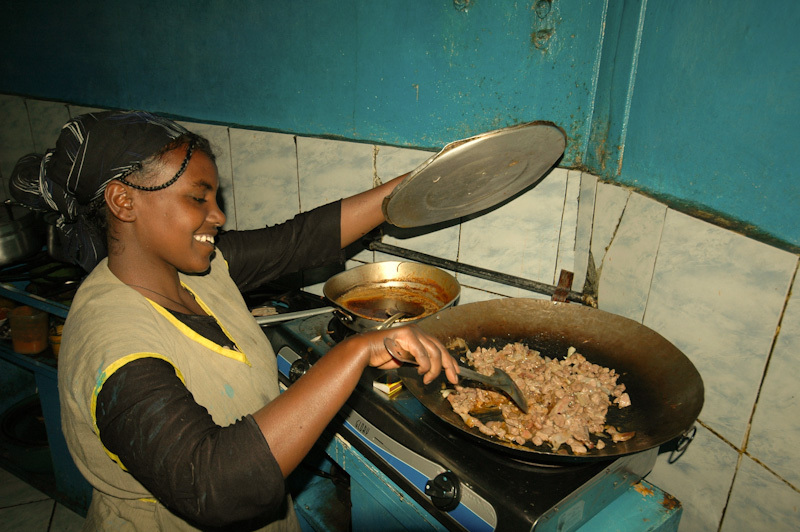 There are many dishes based on the Ethiopian pancake. Kuanta firfir is worth mentioning. This is a sun-dried lamb sauté served with berber sauce mixed with pieces of injera, simply served on the top of injera. You are supposed to eat a meal with your right hand. It is simple. You tear off a piece of pancake, form it into a kind of lump with your fingers and grabbing a piece of meat or stew topping you put it in your mouth. What is really unusual about injera is that a simple pancake at the same time serves as a dish, a side dish, a plate and cutlery. Thus, once you finish your meal, everything disappears from the table. I strongly recommend ordering random courses from the menus written in an utterly unintelligible Amharic language, which is nothing like anything you have known before. In fact, the number of places to eat nearly equals the number of injera firfir varieties.